Ronnie McArthur Roberson was born on March 18, 1961 to Elmer Roberson and the late Mattie Jean Jones Roberson in Lee County, Alabama. Ronnie was a graduate of Smith’s Station High School, Class of 1979 and played football for the Panthers. 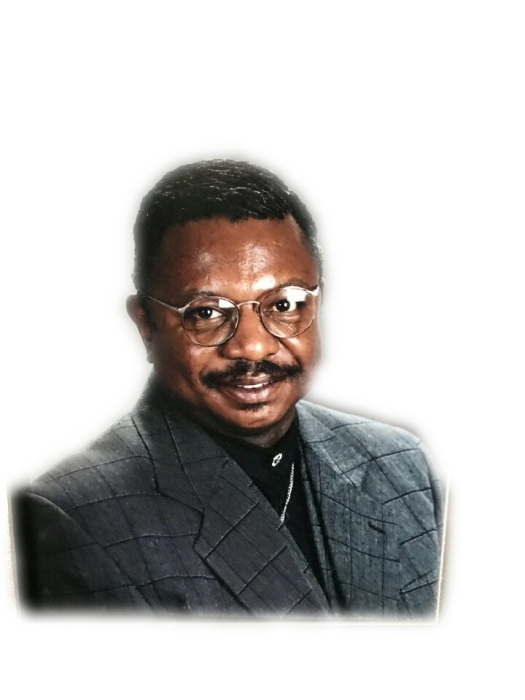 Ronnie accepted Christ as his Personal Savior at a very early age and joined the Concord Missionary Baptist Church under the leadership of Rev. Hugh Foster. He worked for B. F. Goodrich North American Tire Company for over twenty-three years, and he was an affiliate of Unity Mortuary for many years until his health declined. Ronnie loved life and was a very caring person who loved to talk. He would have a conversation with whomever he came in contact with, no one was a stranger to him. There was never a dull moment when Ronnie was around; he kept you laughing at his crazy and silly jokes. His favorite past times were fishing, hunting and golfing. On Tuesday, August 29, 2017, surrounded by his loving family; an Angel silently came into the room of Bro. Ronnie McArthur Roberson and whispered “Peace Be Thine, You have fought the good fight and you have kept the Faith. Henceforth, a crown of righteousness awaits you in our Father’s Mansion”. Mr. Roberson leaves to cherish his memories: his truly wonderful wife, Mrs. Demarias Booker Roberson of Lanett, Al. ; four sons, Master Jeremiah Roberson of Lanett, AL, Mr. Travis Cochran of Phenix City, AL, Mr. Jacob Roman of Bronx, NY and Mr. Joshua Lowe of Valley, AL; two daughters, Ms. Patrice Lowe of Auburn, AL and Ms. Mariah Booker of Valley, AL; nine grandchildren; three special children and their kids that he reared as his own that he loved and cherished until his death, Mrs. Tiffany (James) Coleman of Opelika, AL, Ms. LaShonda Vines of Atlanta, GA and Mr. Anthony Keith of Opelika, AL; his father, Mr. Elmer E. Roberson of Salem, AL; two brothers, Mr. Kelvin Roberson of Salem, AL and Mr. Eric (Elizabeth) Roberson of Valley, AL; his grandmother, Mrs. Viola Jones of Salem, AL; four aunts, Mrs. Mildred Thomas, Smith Station, AL, Ms. Minnie M. Jones of Salem, AL, Mrs. Ola Mae (Albertdean) Davis of Smith Station, AL, and Mrs. Jeanette Brundidge of Phenix City, AL; one uncle, Mr. Ruben Jones of Smith Station, AL; two special very devoted and wonderful cousins, Mrs. Kamika Morgan and Ms. Bernice Hawkins; two special devoted caregivers, Ms. Mariah Booker and Mrs. Clora Davis; a truly devoted and special friend, Bishop Kenneth Carter that he truly loved and a host of nieces, nephews and cousins.